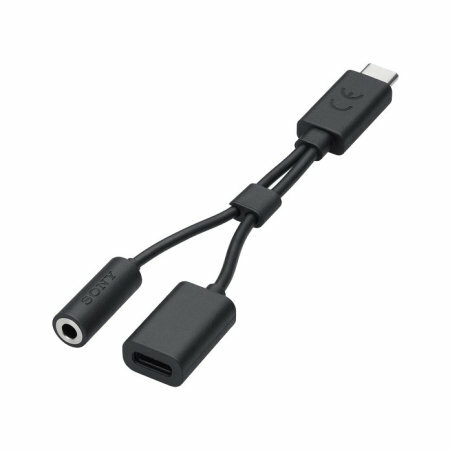 The Sony USB-C to 3.5mm adapter makes it possible to listen to music through your favourite headphones while charging your USB-C smartphone. Listen to music or talk through analog headphones while you charge your device. The main down side to not having a headphone socket on some newer USB-C smartphones is that you could charge or listen to music, not both. Well, now you can. 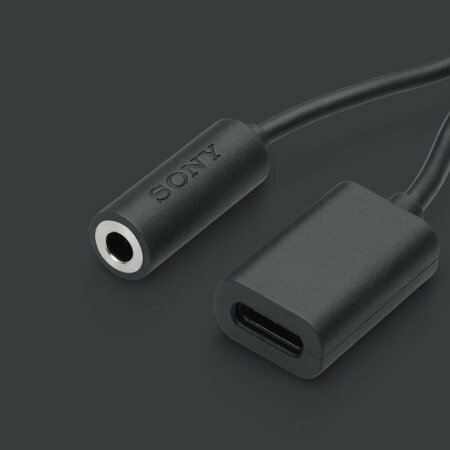 This Official Sony adapter allows you to connect your favourite 3.5mm headphones and a USB-C charging cable to your phone at the same time, meaning you can charge via the cable and listen to music via your headphones. Don't be concerned that this is a compromise option in terms of charging power. The Official Sony adapter allows enough pass-through power for you to comfortably charge your smartphone or even a USB-C tablet. Your sound quality will suffer no compromise either as crisp high definition lossless audio is delivered, even if your other port is occupied with charging. This adapter allows full use of remote playback control and microphone signal from your 3.5mm audio headset. This means you can control your tracks and handsfree calls and suffer no loss of clarity in terms of speech.